Welcome to the review of GovMetric data for September 2011. 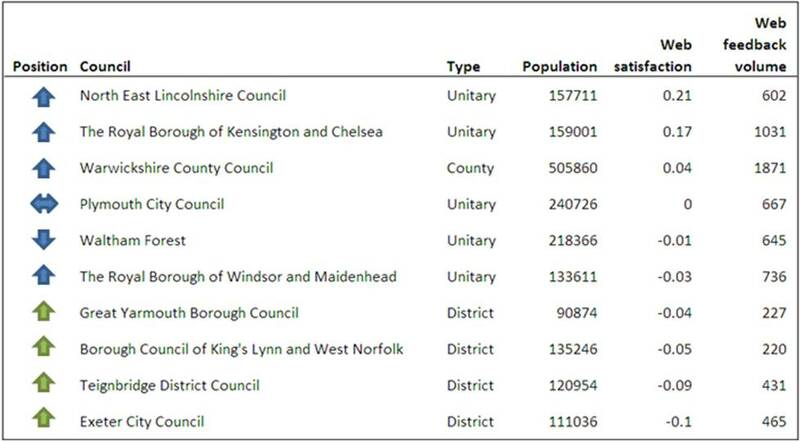 North Kesteven District Council hold on to the top spot for a second month – well done! 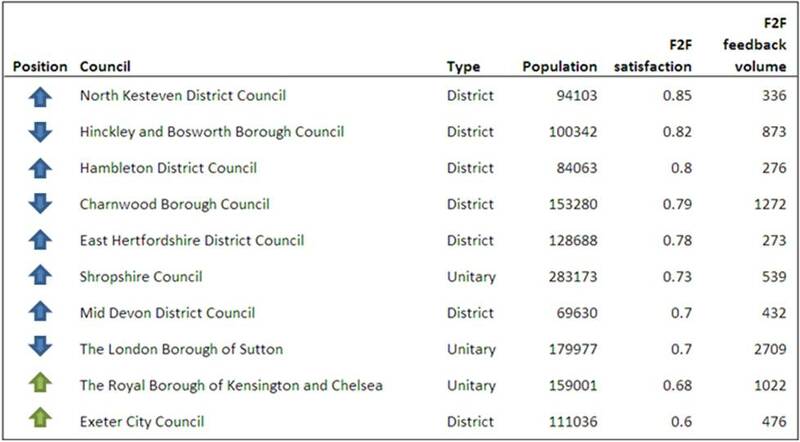 Kensington & Chelsea and Exeter make it into this month’s top 10. Dundee City Council continues to rise up the table. 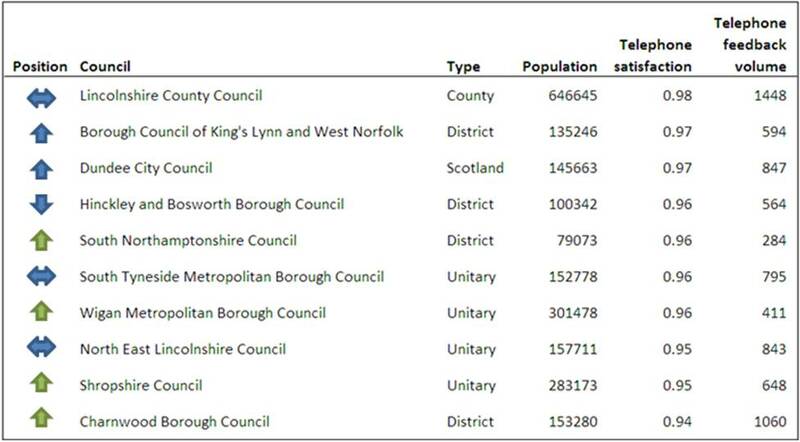 Well done to North East Lincolnshire – a great performance. 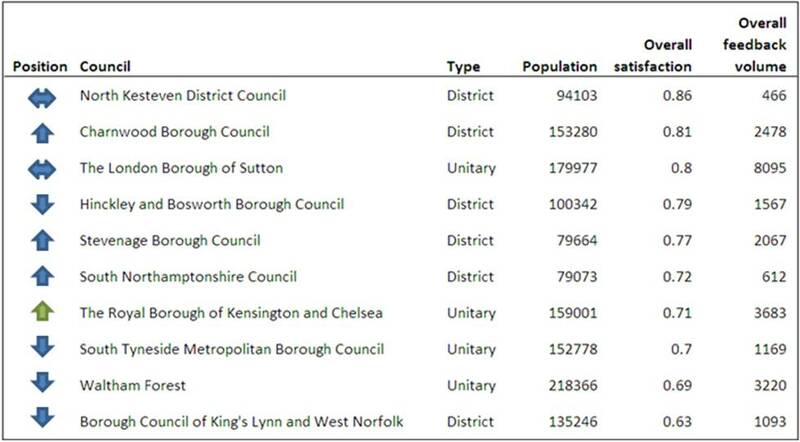 Over 30,000 pieces of feedback were collected by the Top 10 councils this month. Predictions show that 50% of the UK population will own a smartphone by 2012. This month we are taking a look at some of the different options available to councils wanting to take advantage of the smartphone revolution to deliver lower cost and convenient services to citizens. Last month, Barnet launched its own Smartphone app, which has been designed and created in-house. It enables users to find out local information, see the latest council jobs, contact their local councillor, find answers to common questions and get involved in local consultations. Residents can also pay for their council tax, sign-up for pay-by-phone parking or search an interactive map of local activities via the application. The app is compatible with iPhone, iPod touch, and the iPad and an application for Android is currently being developed and will be launched in due course. 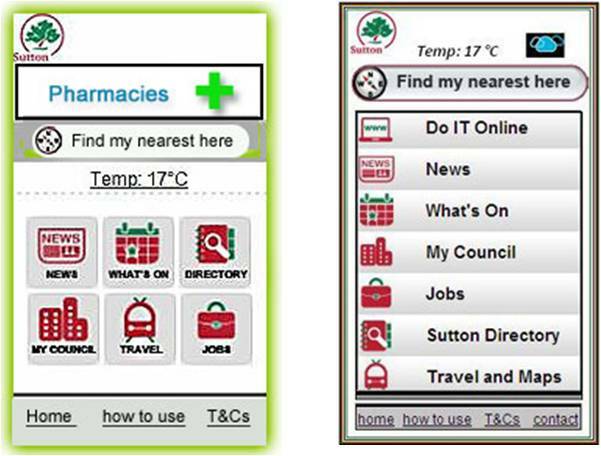 Wychavon District Council has adopted the Looking Local platform to provide mobile access to online services. This platform has grown out of the DigiTV National e-Gov Project, and it enables subscribing organisations to deliver content to TV, smartphones, mobile web, social networks & games consoles. 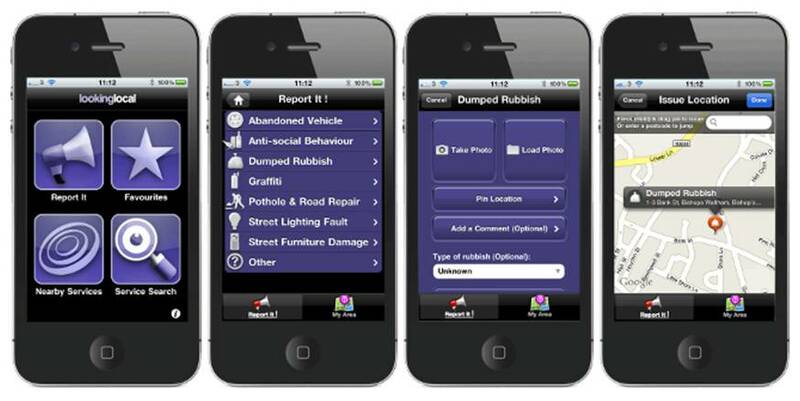 Central to the Looking Local app is the ‘Report It’ feature, which enables users to quickly report local issues such as graffiti, abandoned vehicles, potholes, damage to street furniture, anti-social behaviour and dumped rubbish. In five easy steps the user can map where the problem is, attach a photo and a comment and submit the report which then gets sent to the council. In addition to the reporting functionality, the Looking Local app gives access to a wide range of local services provided by over 125 partner organisations including choice-based lettings, repair reporting, news and events, local health services and listings, as well as nationwide job searching from Jobcentre Plus and information from NHS Choices. You don’t have to provide an app to successfully deliver services via smartphones. 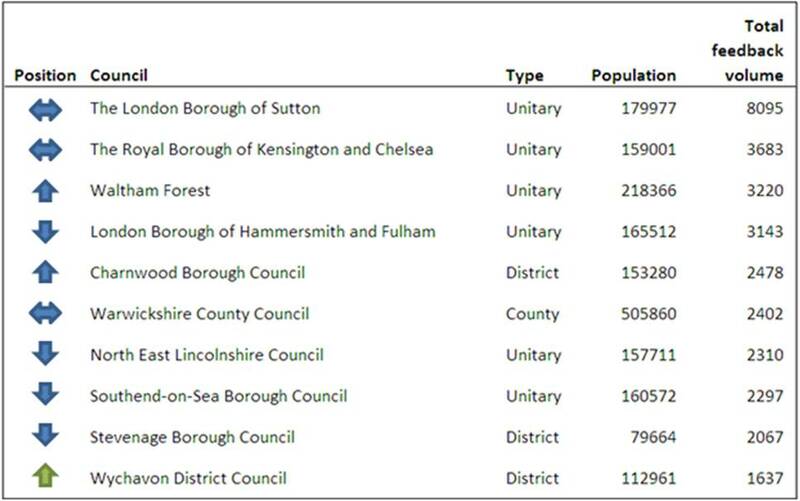 Sutton Council uses the MyLoMo platform to deliver ‘mysutton.mobi’, a ‘lite’ version of its primary website that displays the most relevant content on mobile platforms. The MyLoMo platform has been designed with Local Authorities to minimise integration work, be back end agnostic and enable the re-use of existing web services. Also, although the service is specifically designed to display accurately when using smartphones, it will also display successfully on any other internet enabled mobile phone to varying degrees of display & speed. Services available to residents include reporting an abandoned car, fallen trees or graffiti, and the ability to check local maps & travel information as well as the latest Council News or even what’s showing at the local cinema. 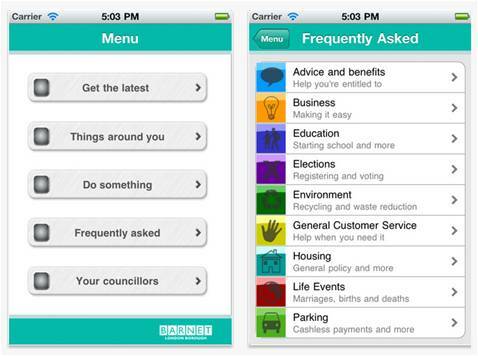 There are other task-specific apps available, that can be used directly by citizens or subscribed to by councils. For example, FixMyStreet by MySociety is a service for reporting, viewing, or discussing local problems such as graffiti, fly tipping, broken paving slabs, or street lighting. Apps are available for Apple and Android smartphones. What has your council been doing to get mobile? What levels of take-up are you seeing? How do you expect this to continue over the next 12 months? Do you think smartphones offer a real opportunity for reducing the cost of service delivery? We would love to hear from you.